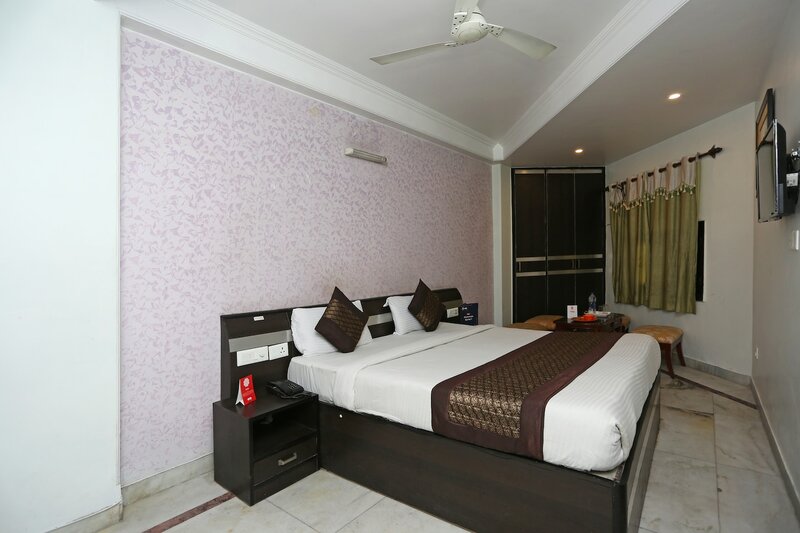 Hotel Delhi Aerocity Inn is a fabulous hotel located in Mahipalpur. The terminal 3 of Indira Gandhi international Airport can be reached with just a 5-minute drive from the hotel. The rooms adorn stunning wall paper and roomy bathrooms. Friendly staffs at the 24-hour front desk will cater to all the needs of the guests. Free Wi-Fi, air conditioner, television, geyser, wardrobe, daily maid service, room service, laundry, and CCTV surveillance are some of the standard facilities offered here. Enjoy a hearty meal at the nearby restaurants like Viva - All Day Dining - Holiday Inn, Spice It - Ibis New Delhi, and Biryani Blues.